Coasters! Fireworks! Disney! Oh my! Although I'm pretty new to the PlanCo community, and a recent returner to SGW, I've meddled with the game since early alpha days. 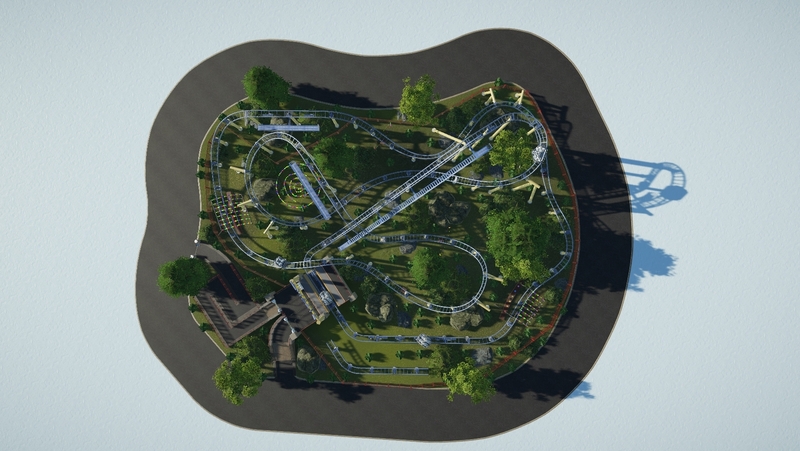 As such I've had many coaster layout concepts and ideas that I've wanted to try out. Even though PC's coaster creator as we know is frustrating to no ends, it's a good tool for plotting out ideas. 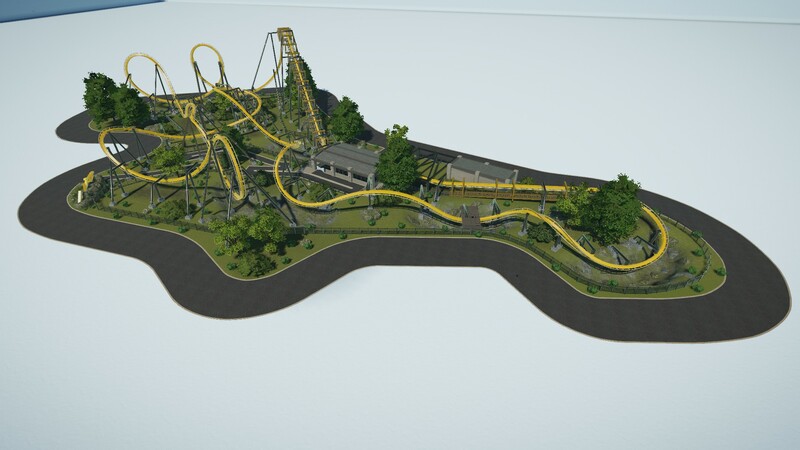 So, I present this simplistic park that showcases all of my ideas for realistic coaster layouts and model recreations of real world coasters. By the end it'll no doubt be a jungle (hah, get it...) of individual coasters. The aim of these coasters is to focus on realistic layouts and constraints rather than theming and environment (for those factors, check out my story-driven park, Elmwood Lake Adventure Park, here on SGW *shameless plug*) hence the simplistic and minimalist presentation. 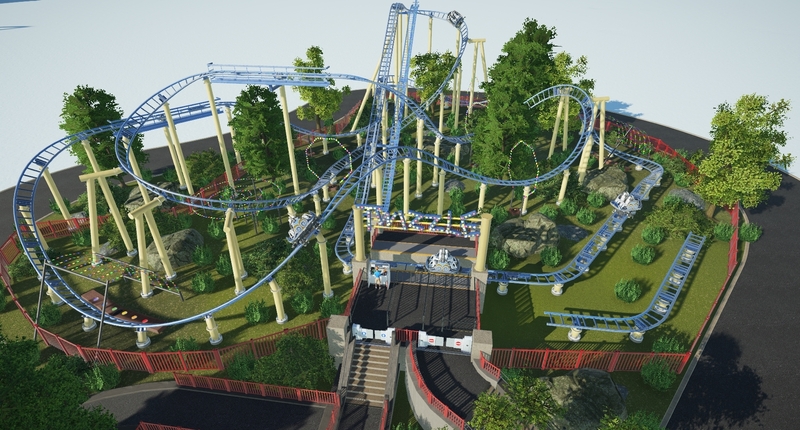 I'll no doubt release the park once A) I've run out of ideas, it begins to lag horrendously or C) become so frustrated with custom supporting that I need a break hah, whichever comes first! If not, I'll release the coaster blueprints individually. 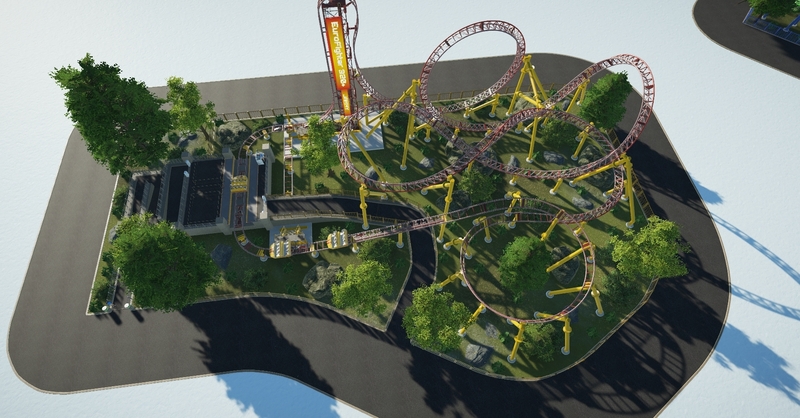 TLDR; This is a park to plop down my coaster layout concepts and recreations. To begin, I created a new-generation B&M Inverted coaster named Tesla (loose theming of lightning bolts and what not). The aim was for a large-scale investment for a mid-tier park. Twizzle is my attempt at a compact custom model of a Maurer Rides SC1300. Ideally this could be a mid-size investment for a small park upwards with relatively good throughputs. 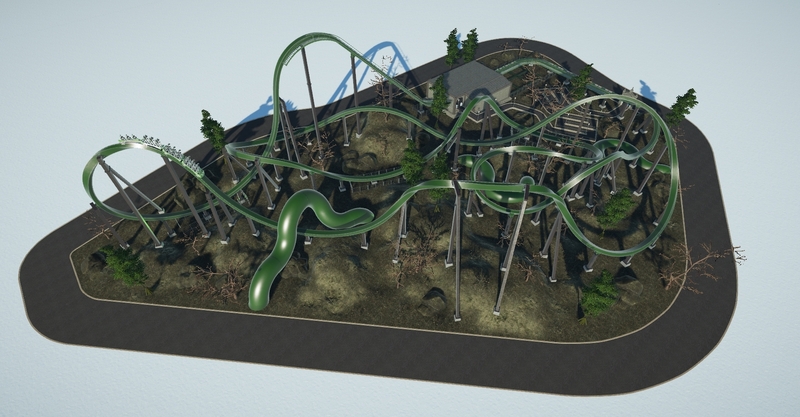 Finally for this first update, I had a go a recreating a Gerstlauer Euro-Fighter 320 & 320+. These were custom supported and detailed with a permanent style support structure (anchored by concrete footers) instead of the alternative grid, steel truss system used on the earlier Euro-Fighters such as Rage or Untamed. The supports are based off of Hydrus at Casino Pier and Serpent at Sindibad. These two recreations are available as blueprints on the Steam Workshop! Thanks for viewing this topic and I hope to update with further concepts and recreations in the future. Looking good! Keep up the good work. Great video too. Super smooth and really realistic. I loved the little pop of airtime just before the final corkscrew. Beautiful. Thanks guys! I'm glad you liked the layout! The Twizzle video has also now been added! 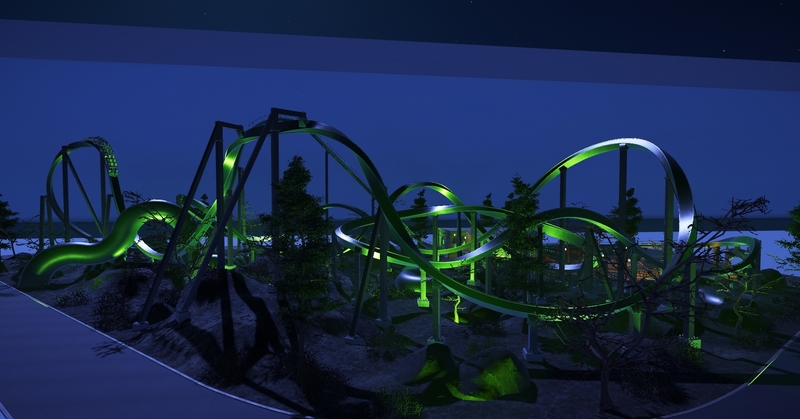 My latest concept is Basilisk - an attempt at what the RMC T-Rex track could be capable of. Obviously with no current models to base anything off, I took inspiration from the two new RMC Raptor models opening this year and added a few unique elements into the mix. Brilliant work! Every layout is flawless and super realistic. It´s great how compact you made them. But I love thoose EF models as well. Great recreations and very well done custom supports. I like how compact your coasters are. That is definitely beneficial for adding in energy within a smaller area. Well done! Any chance these are going to make it to the workshop. 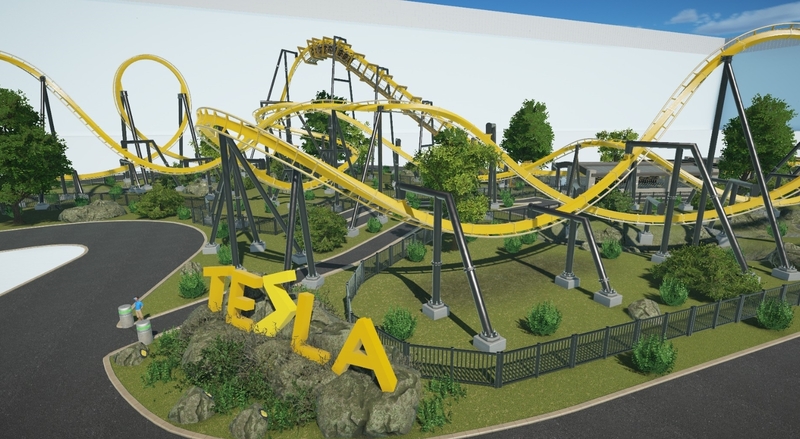 I would love to put Tesla into my park. @zeroG: Thanks! I'm glad you like them and that the realism is showing through in the layouts as that's what I have been striving for! @cody: Yeah, my goal was to make something that could realistically be a genuine investment for a park, hence the more compact footprints! 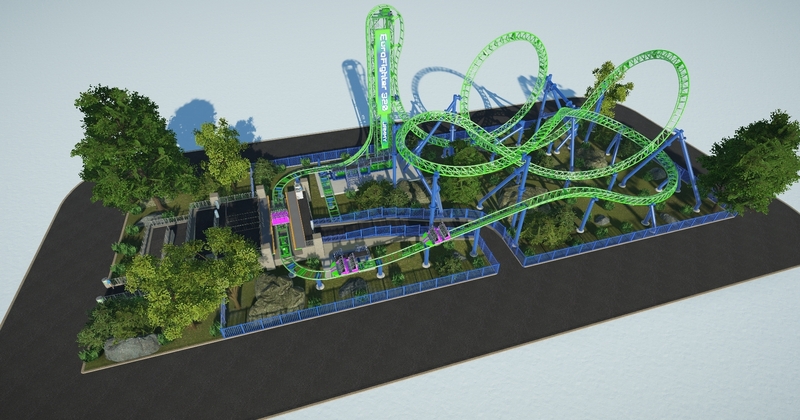 @msebastianz28: The park containing all of the coasters should be on the workshop when complete. The Euro-Fighters are both are the workshop now as a matter of fact. Page created in 0.146 seconds with 30 queries.